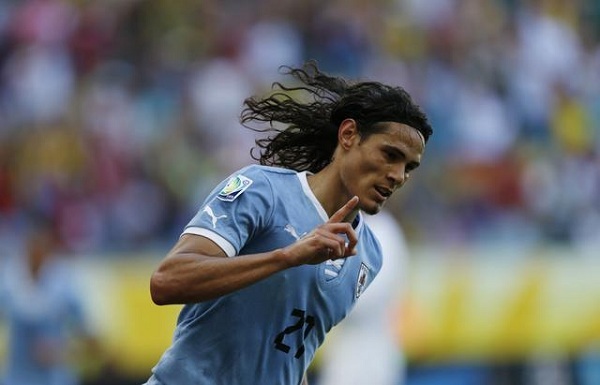 Enko-football: Cavani: "Every game is a final"
Cavani: "Every game is a final"
Uruguay play matches with Peru and Colombia, which are crucial for the placement of the World Cup in Brazil next year. With two victories, is believed that Uruguay on this competition qualify directly, and Cavani believes that his team must a maximum straightforwardly to enter the match. "I do not want to say which match is more important. For us, every match is like a final. We have the weapons to fight with them. Important thing is not to think about others, but about ourselves," said Cavani. "We must not to think negatively. If we lose, we will see what will come next. Nevertheless, we're going on victory," he added.